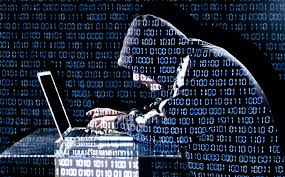 A cyber-crime mastermind suspected of stealing about £870m (€1bn) has been arrested in Spain. The individual is alleged to be the head of the organised crime gang that ran the Carbanak and Cobalt malware campaigns that targeted banks. Europol said the group had been active since 2013 and infiltrated more than 100 banks in that time. Cash was siphoned off via bank transfers or dispensed automatically through cash machines. The arrest was a “significant success” against a top cyber-crime group, Steven Wilson, head of Europol’s Cyber-Crime Centre (EC3), which co-ordinated the long-running, cross-border investigation into the group. said in a statement. “The arrest of the key figure in this crime group illustrates that cyber-criminals can no longer hide behind perceived international anonymity,” he said. The cyber-thieves got their malware on to bank networks by sending key staff booby-trapped phishing emails, said Europol. The gang used three separate generations of malware, each one more sophisticated than the last, to penetrate and then lurk on financial networks. Once the machines of key staff were compromised, the gang used their remote access to banking networks to steal money in several different ways. Money was laundered via crypto-currencies and payment cards, which were used to buy luxury goods including cars and houses. Europol, the FBI, cyber-security firms and polices forces in Spain, Romania, Belarus and Taiwan all collaborated to track down the gang, said the European policing agency. The BBC are reporting that Facebook have said ‘no’ in response to the Digital, Culture, Media and Sport committee’s request that its co-founder and chief executive Mark Zuckerberg appear to answer questions over users data. It its letter to the committee’s chair Damian Collins, it says: “Facebook fully recognises the level of public and parliamentary interest in these issues and support your belief that these issues must be addressed at the most senior levels of the company by those in an authoritative position to answer your questions. The 2p price rise in the cost of first and second class stamps has now taken effect. A first-class stamp now costs 67p and a second-class stamp now costs 58p, under the price rises that came into force on Monday. Stamps bought before the price rise can still be used without any need to top-up the cost. Royal Mail said the squeeze on consumer finances was considered when setting the new price. But it added that the price rise was needed to maintain the universal postal service, which means that the price of a stamp is the same irrespective of where in the UK the letter is sent from and to. 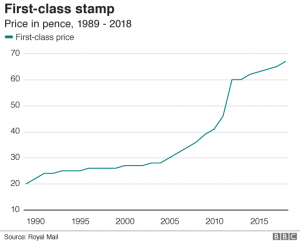 If the price of a first-class stamp had risen in line with inflation since 1989, it would now cost 41p. Toys R Us will close or sell all its 885 stores in the US after failing to find a buyer, putting about 30,000 jobs under threat. Chief executive Dave Brandon said it was a “profoundly sad day” for the retailer. 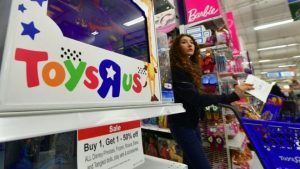 The giant toy-store chain was already in the process of closing one fifth of its shops after filing for bankruptcy protection last year. Toys R Us will also close all its UK stores by the end of April. The UK collapse will put more than 3,000 people out of work as a dismal period for the retail sector continues. However, the company said it could resurrect 200 of the best-performing US stores if talks to combine these with its Canadian operations prove successful. Toys R Us said it would provide more details about the plans in the near term. The company is trying to sell its Canadian and international operations in Asia and Europe, including Germany, Austria and Switzerland. Australia, France, Poland, Portugal and Spain are considering their options, including potential sale processes in their respective markets, but the retailer is likely to go into liquidation in France, Spain, Poland and Australia, Mr Brandon said. The US parent company filed for bankruptcy in September. The business was bought in 2005 by a group of investors, including private equity firms Bain Capital and KKR, which loaded it with about $5bn (£3.6bn) in debt. The company was landed with interest payments that were as much as $400m a year. In the UK Toys R Us joins a long list of high-street retailers, including Maplin and Claire’s, that have run into difficulties this year. 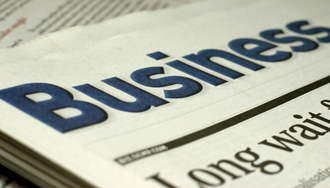 Many have been hit by changes in consumer spending habits, a squeeze on disposable income, higher inflation and the extra cost of the national living wage, and the prospect of increases in business rates in April. Some MPs and lawyers have called for a blanket ban on unpaid shift work. 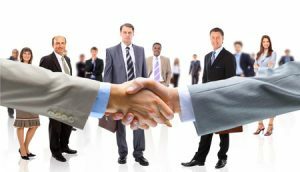 Companies can currently invite prospective employees to do trial shifts with the carrot of a job at the end. But there has been a six-fold increase over three years in complaints over unpaid shifts, trade union Unite said. The Federation of Small Businesses said unpaid shifts are a valuable part of the recruitment process, but shouldn’t cross the line into exploitation. On Friday a private members bill which seeks to make unpaid trials illegal will get its second parliamentary reading. A New Heating Boiler for Your Home? Do You Need a New Heating Boiler for Your Home? 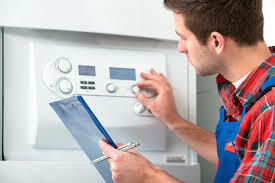 If you have noticed that your home has seemed colder recently no matter how often your turn on the heating or have been having problems with mould and damp it may be that your combi boiler is beginning to loose efficiency. Having an ineffective boiler not only makes it difficult to maintain a comfortable temperature in your home it will also increase the amount of energy you use, causing your bills to soar and increasing the impact that your home has on the environment. So investing in a new heating boiler that includes the latest modern energy saving features might be a really good investment for your home and at Arktek Heating they have an excellent range to choose from. At Arktek they offer a full service so getting a new combi boiler with them is completely straight forward from beginning to end. They offer a free quote on request and a pre-install assessment and once you are totally happy with the boiler you have chosen they will install it for you and take your old boiler away with the minimum of disruption to your family. With a wide range of boiler replacements available from some top manufacturers at Arktek they will be happy to discuss the various options and answer any questions that you may have. Having a new and well fitted combi boiler is the perfect way to make your whole home more comfortable to spend time in, and you will have lower bills and give your property added value so you will enjoy other benefits as well. By deciding to have your boiler supplied by Arktek you will have the additional advantage of knowing that your new heating boiler is covered by a complete warranty and fitted according to all legal safety standards so you can have total peace of mind. If you have decided the time has come for a new heating boiler get in touch with Arktek with professional engineers, competitive prices and a great range of top quality boilers to choose from they are the true experts in boiler replacements. From Friday, anyone with the banknote will need to deposit it at their bank as shops will be entitled to refuse it. At the same time, a collection of new 10p coins featuring 26 designs celebrating Britain – from cricket to queuing – are entering circulation. Officially, any bank, building society or retailer is within their rights to refuse an old paper £10 note from Friday. Only the Bank of England in London will accept them without question in the future. Yet all the major banks and the Post Office have said they will continue to accept deposits of these notes, featuring the portrait of naturalist Charles Darwin, from their own customers. They have been under pressure to do so from the Federation of Small Businesses, which said this would help get the older versions out of circulation quicker. At the last count, the Bank of England estimates that 211 million of these old notes are unreturned.